Unsound is one of the best experimental music festivals in the world — and the reason why hundreds of music enthusiasts have been flocking to Poland every autumn for the last fifteen years. For one night only, detached from its usual home of Krakow, Unsound took up residence at the Barbican in London, where it presented three commissioned pieces exploring the theme of dislocation in all its forms. Opening the night was London-based musician Felicita, with a piece called ‘Soft Power’. Ambient noise music was the soundtrack of a folk dance performance. 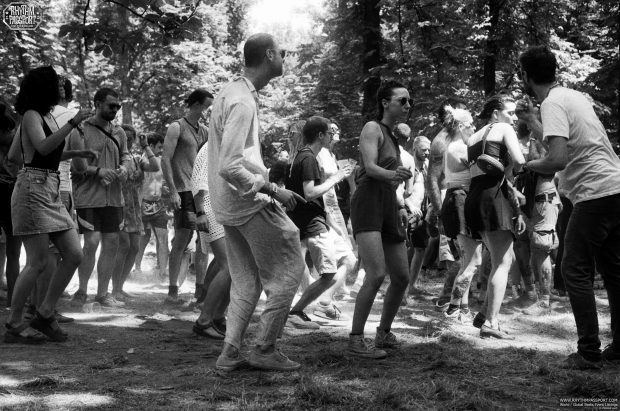 Traditional Polish clothes were worn by both female and male dancers while moving to contemporary electronic music; an unexpectedly striking pairing that resulted in something beautiful and proved how different cultures and traditions can coexist. The dynamic dancers were then replaced by two men sitting on armchairs, sipping drinks and not doing much else. It was the turn of the piece by musician The Caretaker (aka James Leyland Kirby aka V/Vm) in collaboration with videomaker — and Aphex Twin collaborator — Weirdcore. Music played while a mesmerising abstract video was screened as if we were at the cinema, while, on stage, two men sat facing the audience for around 40 minutes not doing much, just drinking and enjoying their time as if they were in their cosy living room. In this case, the theme ‘dislocation’ was interpreted in a way that seemed to be very different from how the artist Felicita did. Rather than a cultural dislocation, this time dislocated were the performers on stage, the music, and the audience watching. Conceptually, it was a great performance. The show in the theatre space ended with one last piece, ‘After Its Own Death’. 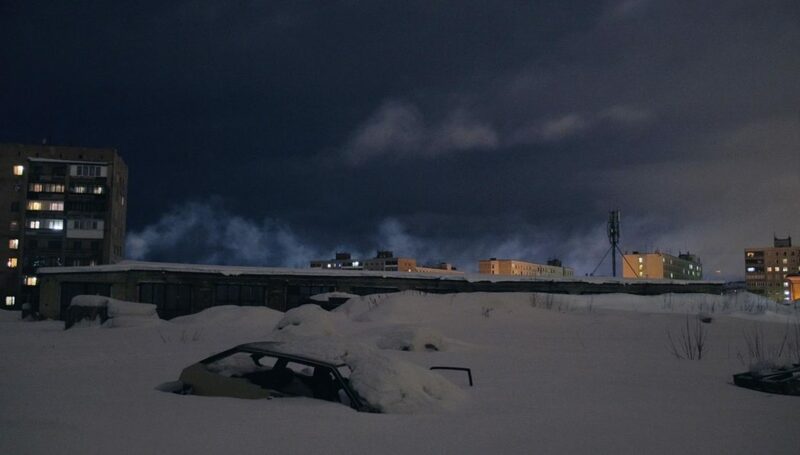 Footage of Murmansk, in the Russian Arctic, played on the big screen while NIVHEK (aka Liz Harris aka Grouper) & MFO, on stage, but on the side in order to divert attention to the video, performed their ambient set: a minimalistic but impactful performance; dreamy when paired with the images of snowy landscapes, strangers and dark blue skies, and a smooth way to put an end to the show. However, for those who did not want to go home yet, Lebanese-born and London-based Rabih Beaini played a DJ set of techno and more in the Barbican bar for another hour or so. It was Friday night, after all.